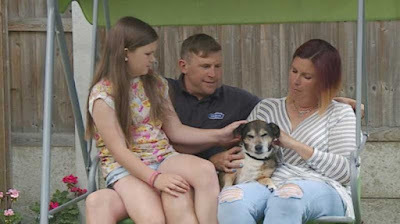 A family from White Notley in Essex have been reunited with their Jack Russell nine years after he was stolen. 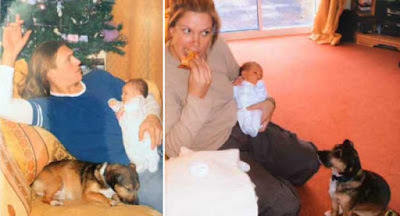 Foster was just four-years-old when he disappeared following a burglary in May 2007. Kelly spent months trying to find Foster and even offered a reward for his safe return. Months turned into years. Then out of the blue last Friday evening Kelly Twin, 40, got a phone call from the RSPCA in Harlow, 34 miles away, to say they had him. 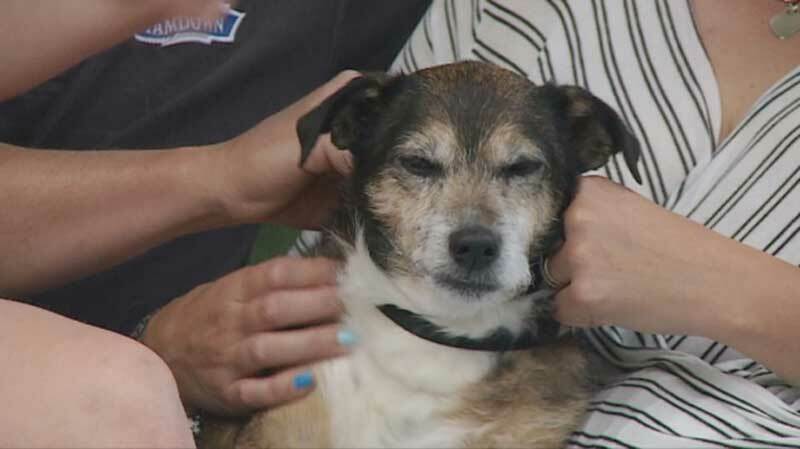 Foster, now 13, had somehow found a home with an elderly lady who had died. With nowhere to go Foster went into the care of the RSPCA who found his microchip and contacted the family. Mrs Twin said: “When we first got the call I was wondering what they were talking about, it couldn’t be our dog. In 2007 Foster was in my mum’s barn near where we live where we keep the horses, I had a phone call and had to pop out. It was then we had some motorbikes stolen as well as Foster. At the time there had been a lot of robberies and dog thefts, the police said they didn’t know anything and nothing was ever recovered. “On Friday I had a call from the RSPCA in Harlow and they had Foster come in after the elderly lady who had him died and he had no one to live with. We went and picked him up and it was very emotional. When we walked in I knelt down on the floor and he started licking me all over.” Mrs Twin added: “He looks like a little old man now. It’s one of those stories you never expect to hear. It’s a bit surreal, as far as we were concerned we thought he was dead. When we got back home he went running up the path to the house, we took him out for a walk and he went cantering up to the door as well. “He recognises my daughter, Daisy, she was one and-a-half when he went but he knows her smell. He always used to sprawl out on the sofa and he does the exact same thing now.” The family had Foster microchipped as a puppy, microchipping has since been made compulsory. "It was only when it came in from its foster home to have its health check at our veterinary centre that we found out he was already microchipped. We got on the database and we were alerted that the dog had been registered stolen, luckily the contact details for Mrs Twin were up to date so we were able to contact her," said Wendy Catton from the RSPCA. There's a news video at the bottom of this page.